Business hours: Noon to 2.30pm, 6.30pm to 11pm. Award-winning bubur lambuk on the buffet. THIS Ramadan, The Royale Bintang Resort & Spa Seremban is offering diners a taste of Malaysia with its extensive buffet spread comprising both traditional delicacies and popular dishes. The hotel’s chefs drew inspiration from family favourites and popular offerings in their home states to conjure the Rasa-Rasa Malaysia menu that would please even fussy eaters. Sous chef Mohd Adib Hassan said diners would be able to sample the best of the country on one plate, with dishes that ranged from Ayam Percik Kelantan (spiced-grilled chicken) to Penang char kuey teow. “Because the kitchen staff hail from around the country, we’ve incorporated a good mix of dishes that reflect our heritage. “People always like a dish that reminds them of home and we tried to do our best by catering to those different tastes,” he said. Diners can enjoy the Nasi Beriyani Ayam and other popular dishes. Among those traditional flavours are Ayam Kerutup, a dry chicken curry cooked in spices and herbs which originates from the state of Pahang. From Penang comes the ubiquitous char kuey teow and pasembur, a favourite with northerners while the famous rendang tok, a dry beef curry from the state of Perak, is also featured on the menu. While curries abound on the menu, a must-try at the Ramadan buffet is the award-winning Bubur Lambuk Warisan Pak Ali, a house-made specialty that will have you asking for more. The slow-cooked savoury rice porridge is a popular dish during Ramadan and at the hotel, the inclusion of meatballs adds a beefy bite to the otherwise simple breaking of fast staple. Mohd Adib said the winning porridge was adjudged the best at a bubur lambuk cook-off organised by Menara Kuala Lumpur in 2013. “Though we distribute packets of bubur lambuk to the public every Ramadan, this dish is so popular, it usually runs out within a matter of minutes. “We try to vary the dishes on our menu every year to give repeat diners something new but our special bubur lambuk is a mainstay on the menu as it’s a crowd favourite,” he said. Another crowd-pleaser and Ramadan staple is Gulai Kawah Tulang Rawan (beef rib curry) cooked in a large kawah (wok) the way it is usually done during festive occasions in the kampung. Needless to say, the spiced marinade and slow-cooking method produces succulent meat which literally falls off the bone. Other kawah-style dishes offered on the Ramadan buffet include Sup Ekor Berempah (spiced ox tail soup) and Asam Pedas Ekor (ox tail in a spicy-sour broth). With a selection of over 100 dishes, including appetisers, soups, mains and desserts on the buffet, diners will be spoilt for choice. Mohd Adib said four rotating menus ensured different options, daily, for repeat diners with plenty to choose from. In addition, makeshift stalls or warung doling out freshly prepared food are also set up within the hotel’s Asiatique restaurant during the Ramadan period. In keeping with the theme this year, the stalls are named after towns in Malaysia. 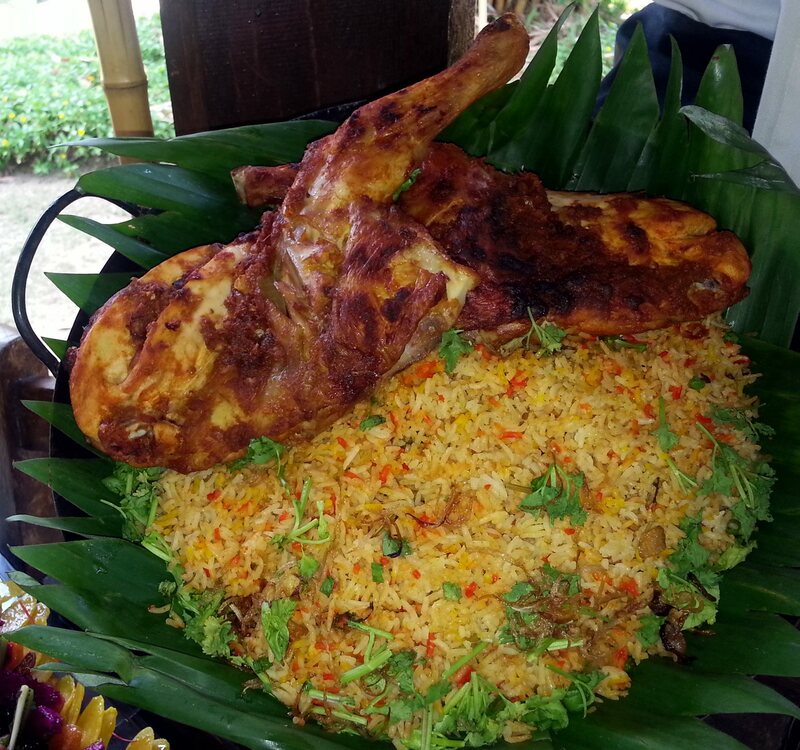 For example, the Citarasa Kuala Terengganu offers crispy keropok lekor (fish fritters) while Citarasa Muar dishes up Nasi Briyani Muar, a speciality the Johorean town has become known for in recent years. “To break their fast, diners can start with something light like a salad accompanied by our special dipping sauces before moving on to the mains. “We also have a selection of desserts including traditional Malay kuih and even macarons to end your meal,” he said. 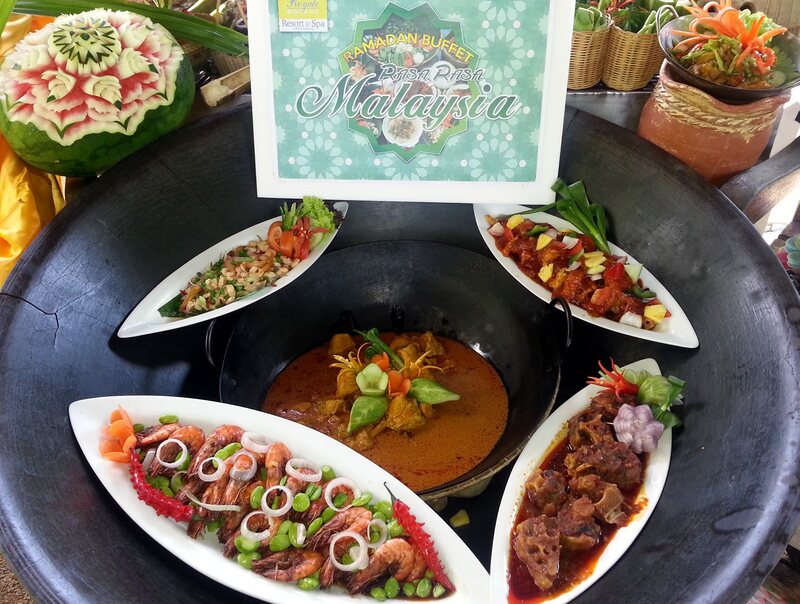 The Rasa-Rasa Malaysia buffet dinner is priced at RM95nett per adult and RM47.50nett per child (aged between four and 12 years) and, is available until July 27 for dinner. Room promotions in conjunction with the festive season are also available.